This beach is excellent for those with small children with clean sand, gentle sloping shelves and rock pool areas. For the more energetic there are windsurfing or canoeing lessons. 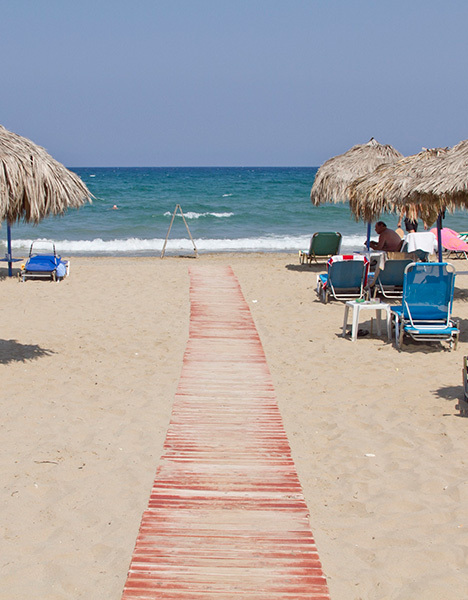 The beach road is an endless stream of delightful tavernas. 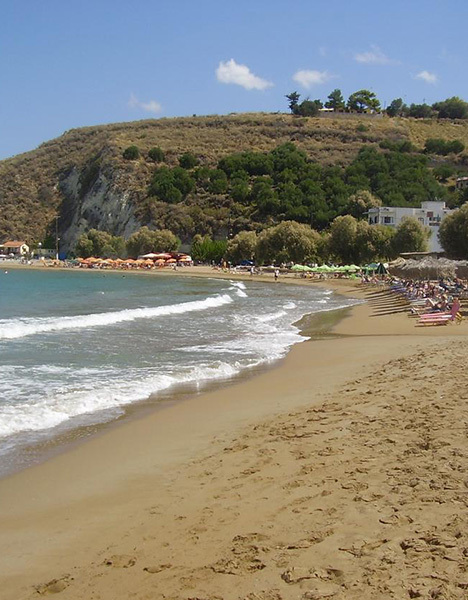 There are many fine beaches a short car ride away: Kera Beach -15 mins – Georgeopolis – 25 mins. A short 10 minute walk from the complex is the traditional village of Kokkino Chorio and its old village lanes which has basic amenities in the form of a taverna and grocery store. Additonal shops and a selection of tavernas, kafenion and gyros establishments are located in the nearby village of Plaka. 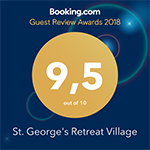 Other nearby beauty spots include Kalives (20 mins), Georgioupolis (40 mins), Lake Kournas (60 mins) the secluded taverna at Ombroglialos beach (20 mins). The beautiful port of Chania is approximately 25 km away and Chania airport is about 30 km, 30 minutes drive. Heraklion airport is 100 minutes drive away. 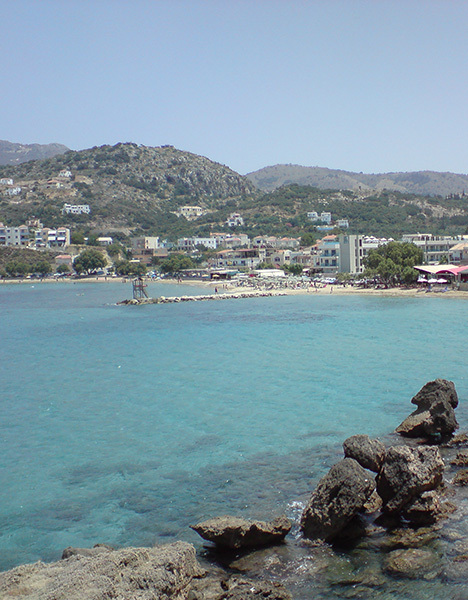 Almyrida is a resort located in the Apokoronas region of the northwest coast of the island of Crete, Greece. The village is approximately 25 kilometers from Chania, in Chania regional unit. Traditionally a fishing village Almyrida has a long beach that is popular with families. Wind surfers, kayaks, paddle boats and beach chairs can be rented on the beach. There are many hotels, rental rooms, taverns, bars, snack and cafe bars, gift shops, grocery stores and bakeries, all of which are open late into the night in the tourist season. Almyrida is famous for its delicious food, as well as for the shallow waters, ideal for children. Kalyves lies about 20 km east of Chania in the Apokoronas area. It is on the coast at the entrance of Souda Bay. It essentially consists of one long road, with houses opening directly on to it, with the occasional alley behind. The town is bound on one side by the sea and the other by low hills. On Kastelli Hill, east of the town, are the remains of the fortified settlement Castello Apicorono, identified by some scholars as the site of ancient Ippokoronion, which is thought to have given the Apokoronas region its name. In classical and Byzantine times, Kalives is the likely site of Kissamos, one of the ancient city of Aptera’s two harbours. Georgioupoli is a resort village and former municipality in the Chania regional unit, Crete, Greece. Since the 2011 local government reform it is part of the municipality Apokoronas, of which it is a municipal unit. The municipal unit has an area of 53.498 km2. It is located 43 kilometres (27 miles) east of Chania, about 22 km west of Rethymno and about 100 km west of Heraklio in the Apokoronas region. It was named after Prince George of Greece, high commissioner of the island in the last years of Ottoman occupation. 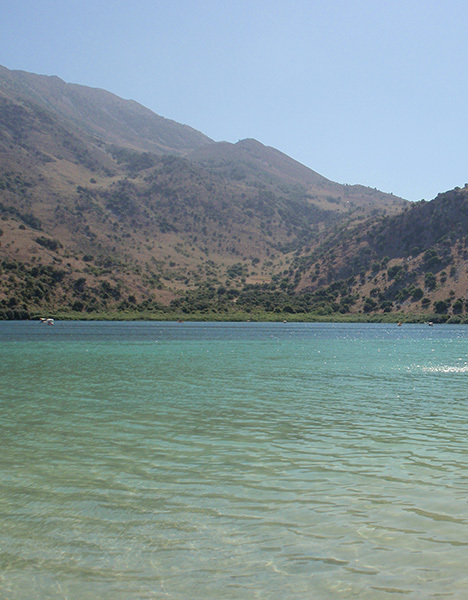 Lake Kournas is a lake on the island of Crete, Greece, near the village of Kournas. It is in the Apokoronas municipality of Chania regional unit close to the border with Rethymno regional unit, 47 km from the town of Chania. Kournas is a fairly large village perched on a hill overlooking the lake.